We know that 2018 is almost over. Don’t lose hope. There are still great movies that are not yet shown in theaters. Here are some of the movies that you can watch during the remaining months of this year. DC plans to release the movie on December 21, 2018. The success of the Justice League, Wonder Woman, Suicide Squad, and Batman vs. Superman made fans hope that this movie will be another success. The ruler of Atlantis, Aquaman, takes center stage in order to take control of his kingdom. Big names such as Nicole Kingdom and Willem Dafoe will take the lead roles. This is definitely a movie that every movie lover is looking forward to. The movie release date is November 21. The star of Black Panther, Michael Jordan changes his role to become the Boxer, Adonis Creed. Ryan Coogler, the prodigious director is the executive producer o this film Forbes’ list of 30 Great men in Hollywood who are under 30, Steven Caple Jr, will take the helm on this film. The star of Thor: Ragnarok, Annihilation, and Westworld, Tessa Thompson, makes expectations rise for this movie. The list of big names goes on and hopefully, this will become a big movie on the silver screen. This upcoming film covers the story behind the British rock band, Queen. The movie portrays the life of their lead singer, Freddie Mercury, the struggles that he underwent in starting the group and his coming to terms with his sexuality. The film is scheduled to release in the US on November 2, 2018. The lead on the film Mr. Robot, Rami Malek, will make a stellar appearance as the lead character in the movie. This upcoming American slasher film is the eleventh franchise of the Halloween. The film is set forty years after the first movie aired. The film tells the story of Laurie Strode who narrowly escapes a killing spree on Halloween over 4 decades ago. She must face again her greatest demon this time, Michael Myers and avoid death for the second time around. The two actors that everyone is looking forward to seeing this time is Nick Castle and Jamie Lee Curtis who decide to reprise their roles. Tom Hardy will be the leading actor of this movie. The story revolves around the anti-hero Venom who is an investigative journalist. 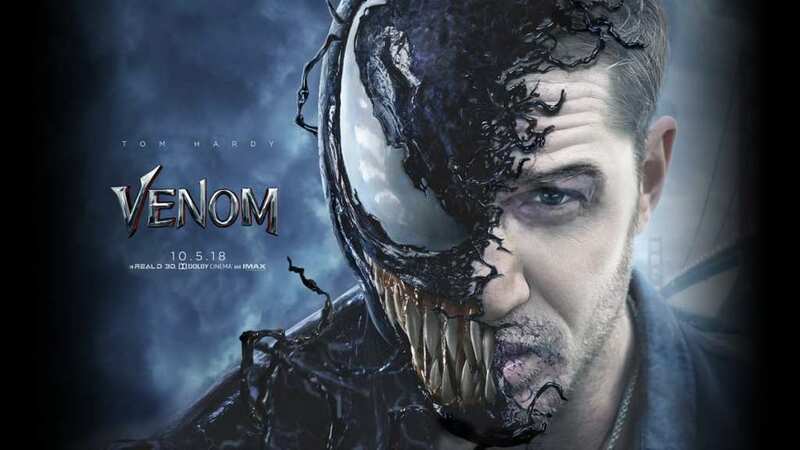 Venom is one of the enemies of Spiderman. The alien symbiote is the reason why Venom is as powerful as Spiderman. The movie is set to release on October 5 on US Cinemas. Ruben Fleisher, known as the director of Zombieland, will take the helm behind the camera once again for this movie. Riz Ahmed and Michelle Williams will be co-starring in this long-awaited movie. Ethan Hunt is back once again – this time in the 6th installment of this action-packed movie. Tom Cruise will be the main actor and the director and will no doubt make the movie enjoyable again to all movie-goers. Ethan Hunt one again has a mission to prevent a global disaster. However, his loyalty to his organization is questioned, and he goes against them. The movie is set to be released on July 27, 2018. This film is the sequel to the Jurassic World in 2015 and the 5th installment of the Jurassic series. Claire Dearing and Owen Grady rescue the remaining dinosaurs on the fictional island of Nubar before a volcanic eruption annihilates them for good. The release date of the movie is June 22, 2018. The film is directed by J. A. Bayona and this will take things up several notches from the original 1993 film.